Johnny’s not your average hero. But a little magic changes everything. There isn’t a fairy godmother or any of that. It all starts with a curse. And a frognapping. And one hot-looking princess. And before Johnny knows it, he is on a mission in the Evergladws, with only a flock of swans and a talking fox named Joe to help guide him against the forces of an evil witch. Review: I've never read any of Flinn's books, but I've heard a lot about the upcoming Beastly movie and I'm a sucker for twisted fairy tales. So when I had a chance to be on the ARC tour of this I thought, "Why not?" I'm really glad I decided to participate. This book is a really cute, light read. Totally predictable. Cheesy. Cute. Fun. And NOTHING like what I was expecting after hearing stuff about Beastly. 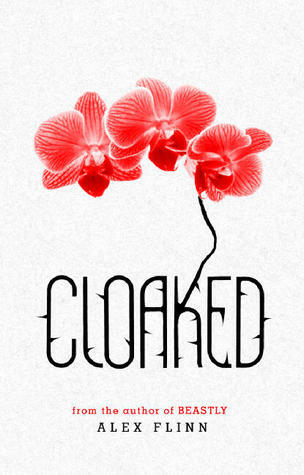 If you're in a reading slump, I'd recommend picking up Cloaked. It doesn't require a whole lot of brainpower, but it had me smiling. This book is froth. But as anyone who knows me (or Shannon) knows, froth is delicious. Froth is what makes things like Root Beer Floats amazing. And yes, I just capitalized Root Beer Floats. Sounds like a fun read! Thanks for the great review. I've been wanting to read Beastly and now Cloaked. I love fun, frothy reads ... That is partially why I love YA in general. It's great to relax with. Thanks for the review. Sometimes you really do just need some light reading and just because it's fluff doesn't mean it's not well written and enjoyable. Can't wait for this one! I love Alex Flinn, her novel, Diva is one of my favorite books. and Beastly is great, glad you liked Cloaked!